Our ultimate goal for reading is comprehension. The children take part in daily Letters and Sounds sessions from Nursery up to year 2. This daily input along wit support from parents allows children to practice and then secure the knowledge and skills taught. Any gaps in knowledge and skills are then addressed in Key Stage 2. 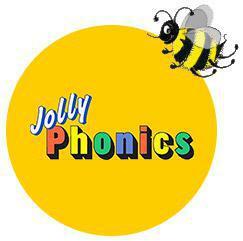 Alongside Letters and Sounds we use Jolly Phonics. This multi-sensory approach provides a fun and easy way for young children to learn letter sounds and then apply them. Here are some useful videos to help you support your child at home. This reading machine helps children practice blending the letter sounds they've already learnt with simple phonetically decodable CVC words. The letters are from Phase 2 Phonics of the Letters and Sounds document s,a,t,p,i and n.
The children will begin to learn more complex sounds and spelling rules throughout year 1 and 2. This includes digraphs (2 letters that make 1 sound/ trigraphs (3 letters that make 1 sound) and split digraphs (i_e/ a_e) in year 1. Year 2 includes alternative sounds, spelling rules and prefixes and suffixes. The Year 1 children will be doing a Phonics Screening Check in June 2018. 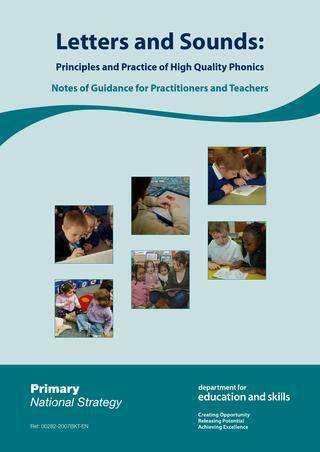 This will determine whether the children are able to apply their phonic knowledge to read unfamiliar words. Please use last years screening check to practice at home with your child so they will be more familiar with the process, therefore giving them more confidence.